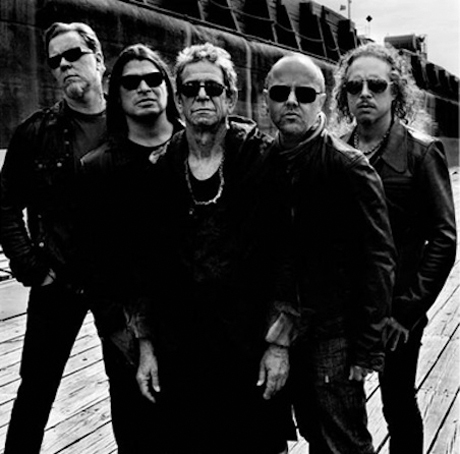 If you're still having troubles believing that the whole Metallica/Lou Reed collaboration is for real, here's one more bit of proof to turn you around. Over on the collaborators' recently launched website, they have announced the release date for their forthcoming album. According to the site, we can expect the record in North America on November 1, while the rest of the world will get it on October 31. So far we don't have tons more details about the as-yet-untitled record, but it will reportedly feature ten tracks and be all new material written by Reed for Lulu, a theatrical production of stories by German author Frank Wedekind. Reed also had this to say recently: "It's may be the best thing done by anyone, ever. It could create another planetary system. I'm not joking, and I'm not being egotistical." We'll believe when we hear it, Lou.